Jamie Moyer is going to try and keep pitching. He’s sitting on 267 wins and signed with the Colorado Rockies (always a good place for pitchers to revive their career) at age 49. More than one person has noted that Moyer has pitched in the majors longer than some players have been alive. And that’s true, seeing that he’s logged 24 years in the show. But we here at Sully Baseball don’t just make idle statements. We create 25 man rosters. So here a 25 man roster of the best players born after Jamie Moyer’s big league debut. I used June 16, 1986 as the absolute oldest date allowed for this roster. He pitched 6 1/3 innings at Wrigley Field that day, earning the win for the Cubs against the Phillies. He beat future Hall of Famer Steve Carlton that day. He got future Hall of Famer Mike Schmidt to ground into a double play. Every single player on this roster was born AFTER that day. Felix Hernandez, Billy Butler and Yovani Gallardo were born in 1986, but before his debut, so I excluded them. But don’t worry. 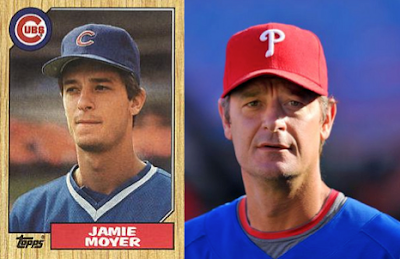 There are All Stars, World Series heroes and even a Cy Young Award winner who can honestly say that Jamie Moyer has been a big leaguer longer than they’ve been alive. The 2010 Rookie of the Year gave the Giants a much needed spark in their lineup and helped propel them to the World Series title. His season ending injury in 2011 probably ended his catching career. He has 32 career starts at first base. 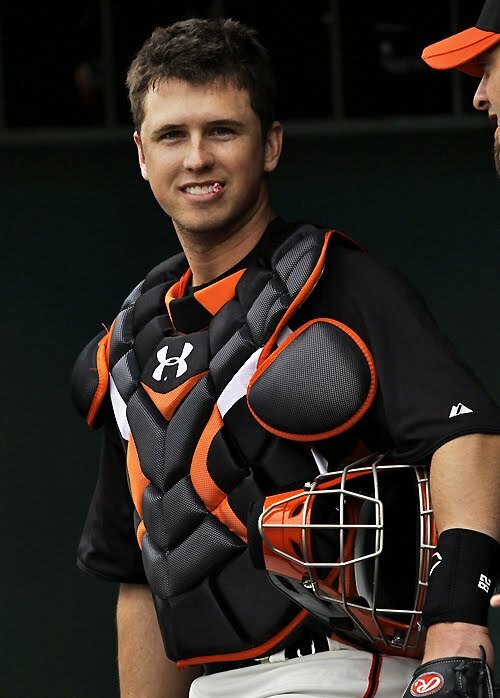 Posey was born on March 27th, 1987, just before Moyer began his second season in the majors. One of the brightest young stars in the game, Freeman finished second in the 2011 Rookie of the year vote. He smacked 21 homers and hit to a .282 clip. 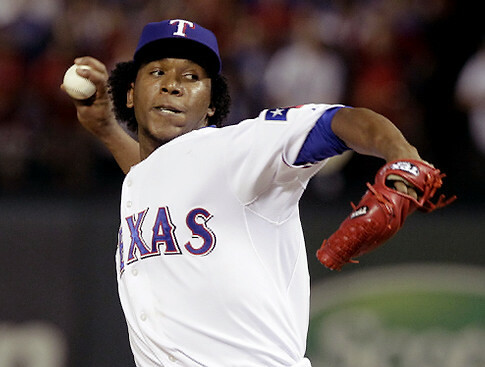 Freeman was born on September 12, 1989, two days after Moyer threw a complete game victory for the Rangers against the Orioles. The White Sox first round draft pick in 2008 has made his mark at second base. 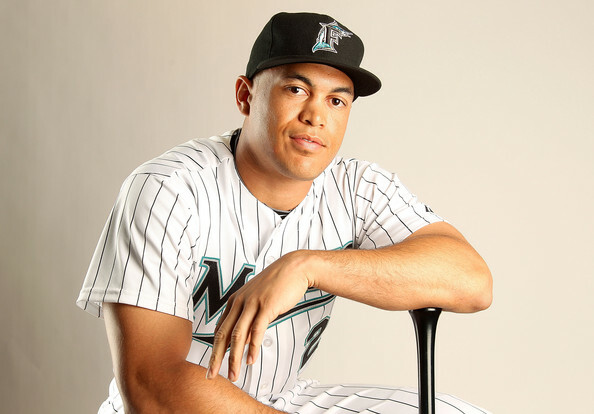 He finished 5th in the 2009 Rookie of the Year vote, slugging 14 homers and posting an .808 OPS. Beckham was born on September 16, 1986, the day after Moyer pitched 5 innings to defeat the Expos in Montreal, getting future Hall of Famer Andre Dawson to ground out to end a rally. Andrus, stolen from the Braves organization in the Mark Teixeira deal, has been the spark plug for the Rangers back to back pennant winners. He has at least 32 steals in all three of his seasons and stole 4 bases in the Rangers ALCS upset over the Yankees in 2010. Andrus was born August 26, 1988, three days after Moyer threw a complete game 9-3 victory over the Astros, helped by a home run by future Hall of Famer Andre Dawson. 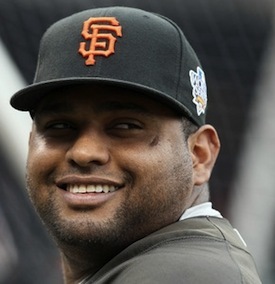 The beloved “Kung Fu Panda” exploded onto the scene and into the hearts of Giants fans in 2008. He posted an OPS above .900 in both 2009 and 2011 and provided much needed home run pop. He struggled in the Giants World Series title run but clubbed a key RBI double in the NLCS against Philadelphia. 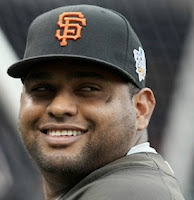 Sandoval was born on August 11, 1986, the same day Jamie Moyer and the Cubs lost 10-7 to Pittsburgh. One of the most exciting young sluggers in the game, Stanton made the Marlins squad in 2010 at age 20 and hit 22 homers. He followed that with 34 jacks in 2011 and an 141 OPS+. Stanton was born on November 8, 1989. 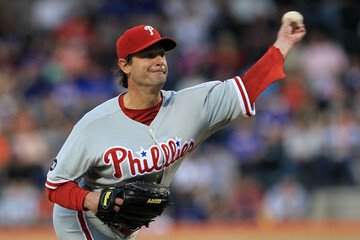 Moyer had finished his first season with Texas then and had 32 career big league wins. McCutchen, a rare Pirates draft pick that wasn’t a bust, is the electric and multi talented centerpiece to the franchise. Super fast with power and a flare for the dramatic, he made the 2011 All Star team with 23 homers, 23 stolen bases, 89 RBI and a 127 OPS+. 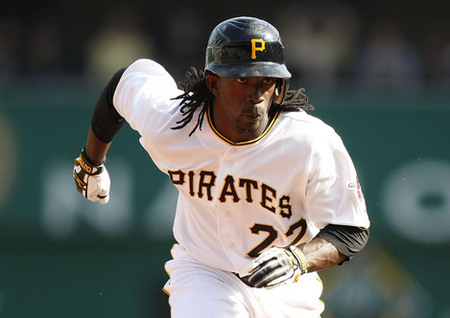 McCutchen was born on October 10, 1986, 15 days after Moyer pitched 7 solid innings against the eventual World Champion New York Mets. 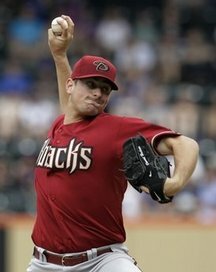 The first pick in the 2005 draft made it to the Diamondbacks in time to play in the 2007 NLCS. 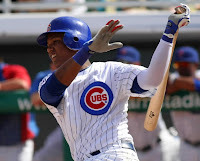 He broke out in 2009 and last year was one of the best players in the National League, displaying 31 homer power, 21 stolen base speed, an OPS of .898 and helped propel Arizona back into playoffs. He crushed 2 homers in the Division Series against Milwaukee. Upton was born on August 25, 1987, 5 days before Moyer got roughed up by Atlanta in a 13-4 Cubs loss. A key part in the Reds turnaround, Bruce was a consistent home run threat and an All Star in 2011. His walk off homer clinched the NL Central title for the Reds in 2010 and was one of the most dramatic moments in Reds history. Bruce was born on April 3, 1987, 4 days before Moyer would throw 1/3 inning of relief for the Cubs in their 9-3 loss to the St. Louis Cardinals. One of the most dynamic young pitchers in the game, Kershaw had dynamic stuff right out of the minor leagues. But everything came together in a magnificent 2011. He led the league in wins, ERA, strikeouts, WHIP and hits per nine innings and winning the Cy Young Award over favorites Roy Halladay, Tim Lincecum, Cliff Lee and Cole Hamels. 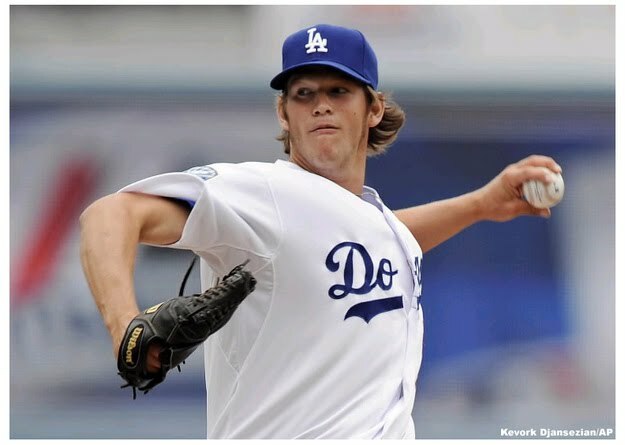 Kershaw was born on March 19, 1988, just before Moyer was to begin his third season in the major leagues. 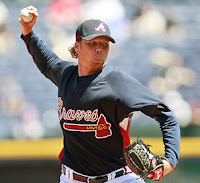 A 22nd round draft pick, Hanson worked his way up the Braves system to become a mainstay in their rotation. 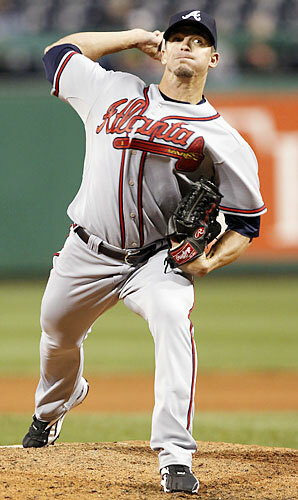 He has a career 3.28 ERA over 460 1/3 innings pitched during his three years in Atlanta. Hanson started a game in the 2010 Division Series against the Giants. Hanson was born on August 28, 1986, the day after Moyer lost a 7-1 game for the Cubs in Houston. 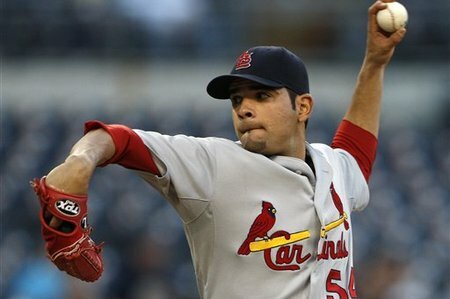 Garcia finished third in the 2010 Rookie of the Year vote when he won 13 games to a 2.70 ERA for the Cardinals. He won 13 games the next year and started 5 games in the post season. He had a 1.80 in over 10 innings in the 2011 World Series. Garcia was born on July 8, 1986, 2 days before Moyer lasted only 2/3 of an innings in the Cubs 11-4 loss to the Dodgers. After losing Matt Garza and many other key members to their pitching staff, the Rays needed to look within for the 2011 season. They found Jeremy Hellickson who went 13-10 with a 2.95 ERA over 189 innings. 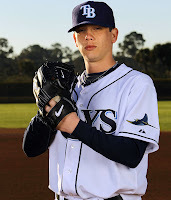 He won the Rookie of the Year and helped pitch the Rays to their third playoff berth in four years. 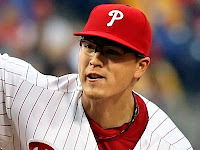 Hellickson was born on April 8, 1987, 5 days before Moyer pitched 8 strong innings, striking out 12 to win the game for the Cubs over the Phillies. Once a top prospect for the White Sox, Hudson flourished with the Diamondbacks in 2011. He won 16 games and logged 222 innings as Arizona made it back to the playoffs. He also batted .277 and won the Silver Slugger Award. Hudson was born on March 9, 1987 as Moyer was in spring training getting ready for his second big league season. Another part of the terrific Mark Teixeira trade, Feliz became the Rookie of the Year in 2010 and clinched the Rangers first ever pennant. He closed out their second pennant the next year and came within a strike of clinching the World Series. At age 24, he has become one of the top closers in the game. Feliz was born on May 2, 1988, the same day Jamie Moyer pitched 6 innings and got the win for the Cubs in Jack Murphy Stadium, San Diego. 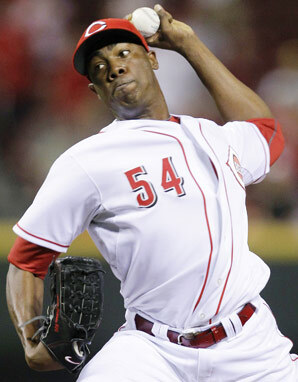 “The Cuban Missile” arrived on American shores with an arm that seemed super human. He averaged 12.8 strikeouts per inning pitched and has almost a 2 to 1 strikeout to walk ratio while hitting triple digits on the radar gun. Chapman was born on February 28, 1988, just as Jamie Moyer was reporting to spring training after 2 seasons in the bigs. Kimbrel was brought up to help the Braves during the stretch run in 2010 and his 17.4 strikeouts per 9 innings gave Atlanta an outstanding pen. The next year he kept up his dazzling numbers, saving 46, striking out 127 and walking only 32 in 77 innings. He won Rookie of the Year in 2011. Kimbrel was born on May 28th, 1988, 4 days after Moyer pitched into the 10th inning of a hard luck 3-0 Cubs loss to the Atlanta Braves. 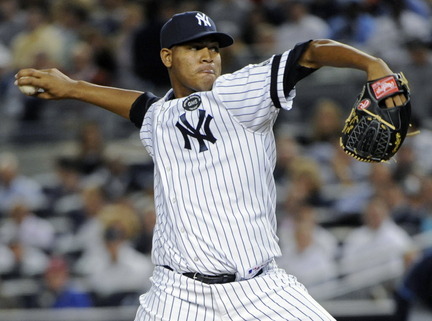 “The Super Nova” gave the Yankees an unlikely source of depth on the staff in 2011. After an unremarkable promotion in 2010, he received Rookie of the Year consideration in 2011, winning 16 games and throwing 165 1/3 innings. In the suspended Game 1 of the Division Series, Nova won the game with 6 1/3 effective relief innings. Nova was born on January 12, 1987, after Moyer’s first season in the majors. With a team loaded with Cy Young contenders, Worley gave the 2011 Phillies outrageous pitching depth. He went 11-3 with a 3.01 ERA and gave the Phillies help with long relief as well. Castro became one of the elite shortstops in the game before he could legally buy a drink. 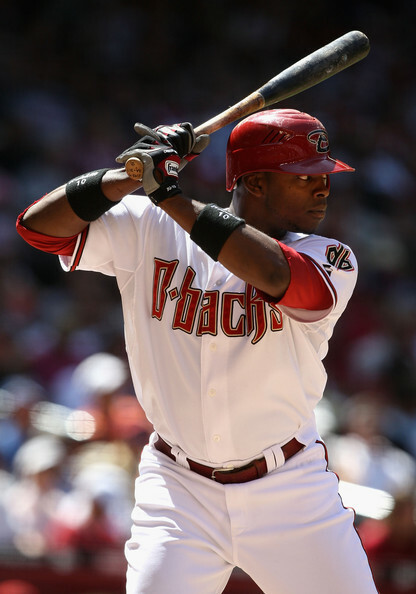 A solid hitter with some pop, he finished 5th in the 2010 Rookie of the Year vote. The next year he made the All Star team while leading the league in hits. Off the field problems are already haunting him, but they are unresolved as of this writing. 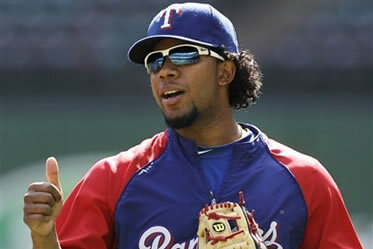 The first big leaguer born in the 1990s, Castro was born on March 24, 1990 just as Moyer was beginning his second season with the Texas Rangers. The left handed power hitting third baseman provided some pop for the Pirates when he arrived in Pittsburgh during the 2010 season. 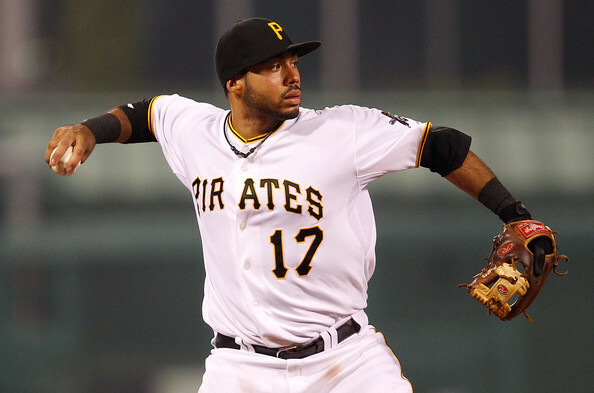 His numbers tailed off during his second year in the Steel City but remains an important piece in the Pirates hopes for 2012 and beyond. Alvarez was born on February 6, 1987, just as pitchers and catchers were reporting for Cubs spring training and Jamie Moyer was preparing for his second season. The J-Hey Kid homered in his first at bat and became an instant fan favorite in Atlanta. 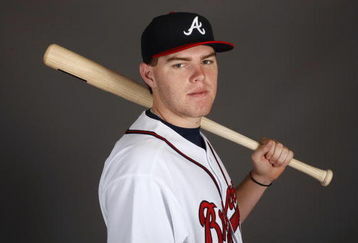 He wound up hitting 18 homers posting a 131 OPS+ and finishing second in the Rookie of the Year vote as the Braves returned to the playoffs. He tailed off badly in his second year but remains a big reason for the Braves optimism for the years to come. 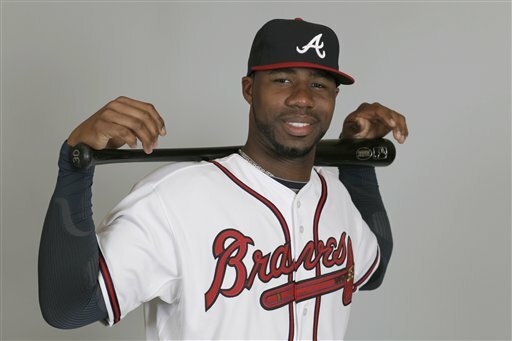 Heyward was born on August 9th, 1989 while Jamie Moyer was recovering from injuries. He would come back to the Rangers that September. 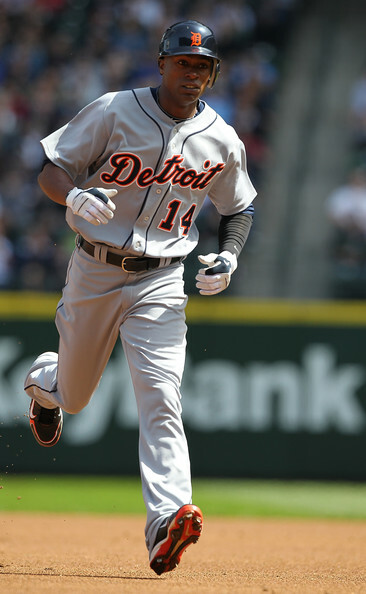 Acquired from the Yankees in the Curtis Granderson deal, Jackson gave the Tigers a solid centerfielder with speed and extra base power. He finished second in the 2010 Rookie of the Year vote. The next season he led the league in triples and played a key part in Detroit’s Division Title. Jackson was born on February 1, 1987 as Moyer was preparing for his second big league season. 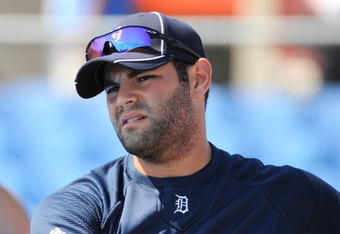 The All Star and Silver Slugger catcher had his breakout season in 2011, helping the Tigers win the Division and make it to the ALCS. When Avila was born on January 29, 1987, Moyer had 7 career big league victories. There are several choices for the 25th man, but I am going with Bumgarner for the way he shone on the biggest stage. 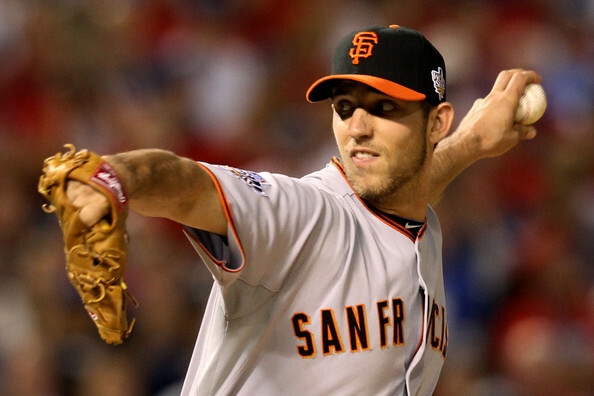 The 20 year old Bumgarner already showed he had great stuff for the 2010 Giants, but in Game 4 of the World Series he threw 8 shutout innings against the hard hitting Rangers to earn the victory and put San Francisco on the cusp of the title. He won 13 games and pitched to a 3.21 ERA over 204 2/3 innings in 2011 helping create an incredible 1-2-3 punch in the Giants rotation with Lincecum and Cain. Bumgarner was born on August 1, 1989 as Moyer was rehabbing and a month before he returned to the Texas rotation on September 5th. That is a solid 25 man roster with some other names left off. Rick Porcello, Michael Pineda and Chris Volstad are all talented arms. Matt Moore has already had post season glory. Alicides Escobar and Gerardo Parra have had their moments. Mike Trout will probably become a big star. And Colby Rasmus is in my doghouse, so forgive me if I went with 5 other outfielders. I hope you get those 300 wins! Wow, great team! The way Moyer is going, you might be able to tweak this roster in 2022! That's quite a good team. Good power, good speed, good pitching. If "good pitching beats good hitting," Moyer at his best could have handled them, but I don't know about now. Maybe he's trying to pitch until his age matches his number (50). It almost worked for Jesse Orosco (47) and Hoyt Wilhelm (49), and it may yet work for Tim Wakefield. Man, Yet Another Gem Sully, Keep up the Great Work. Jamie will need to prove himself after his surgery before becoming a starting pitcher in the majors again. My bet is that he will prove himself, he will pitch again as a starter, and he will reach 300 wins! He seems to do whatever he sets his mind to doing. He's never let himself get out of shape (look at photos of him when he started playing ball and current photos) Yes-groin and elbow injuries, both of which are repaired and rehabbed. You go, kid! Wish you were still with the Phils! Was Carmona or Heredia the good pitcher? Bigger romantics? Yankee fans or Twilight fans?